The Women’s Imaging Center at St. Mary’s Hospital has been designated a Breast Imaging Center of Excellence by the American College of Radiology (ACR). 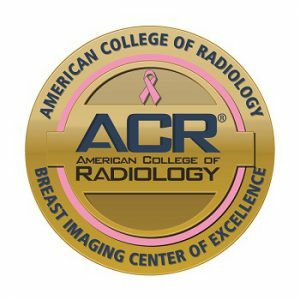 By awarding facilities the status of a Breast Imaging Center of Excellence, the ACR recognizes breast imaging centers that have earned accreditation in mammography, stereotactic breast biopsy, and breast ultrasound, including ultrasound-guided breast biopsy. Peer-review evaluations, conducted in each breast imaging modality by board-certified physicians and medical physicists who are experts in the field, have determined the Women’s Imaging Center at St. Mary’s Hospital has achieved high practice standards in image quality, personnel qualifications, facility equipment, quality control procedures, and quality assurance programs. Additionally, the Women’s Imaging Center at St. Mary’s Hospital recently received a three-year term of accreditation in breast ultrasound from the ACR. Located on the third floor of St. Mary’s Hospital in Troy, the state-of-the art Women’s Imaging Center offers a comprehensive suite of clinically advanced breast imaging and bone density testing. The 4,800-square-foot center opened in October, and brought together the imaging services formerly offered at the Women’s Health Center at Samaritan Hospital, St. Peter’s Women’s Imaging at the Massry Center, and the women’s imaging services previously offered at St. Mary’s Hospital. The Women’s Imaging Center at St. Mary’s Hospital also brought together the professional and compassionate staff from these three legacy centers. The new center’s staff includes a board-certified clinical breast radiologist. Click here for more information about the American College of Radiology, a national professional organization serving more than 36,000 diagnostic/interventional radiologists, radiation oncologists, nuclear medicine physicians, and medical physicists with programs focusing on the practice of medical imaging and radiation oncology and the delivery of comprehensive health care services.